Help Me Choose the Plan I Need. Telx Telecom Office or Anywhere plans are built with variations to suit any business. 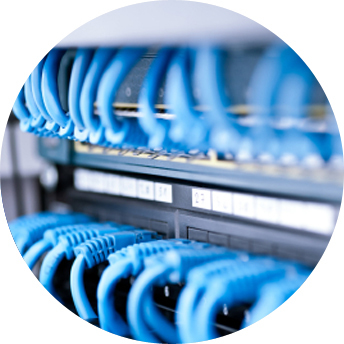 Just choose the number of lines you need for your VoIP system and let us tailor a plan that fits your needs. Route calls to existing cell phones and land lines, no additional hardware needed! Increase control over your communication budget. The Telx Telecom Office plan will save you money and allow you to know exactly how much you’ll be spending on your phones every month. Build a plan that fits your needs. Don’t waste money paying for features that you won’t be using. We know there is no one-size-fits-all for businesses. Whether your business requires unlimited call time or are looking into our ‘pay-as-you-go’ plan, Telx Telecom has a VoIP solution that is perfect for your business. Traditionally, your phone system – a monster stack of PBX equipment, phone switches, or hosted systems with auto-attendants - was hidden in the utility closet in the backroom and required professional installation and management. Voice over Internet Protocol allows users the freedom to switch around their phone system whenever they choose, without the cost of all that hardware. VoIP phone plans can be run over standard or VoIP phones, so you do not have to invest in costly hardware. Now you can add lines, locations, and auto-attendants with just one call to Telx Telecom.